Got sidetracked- critters to feed and water, etc. Hope all are havin' a great day. I will be in an hour or so. No morning feed up here anymore, unless I count the dog and cat. 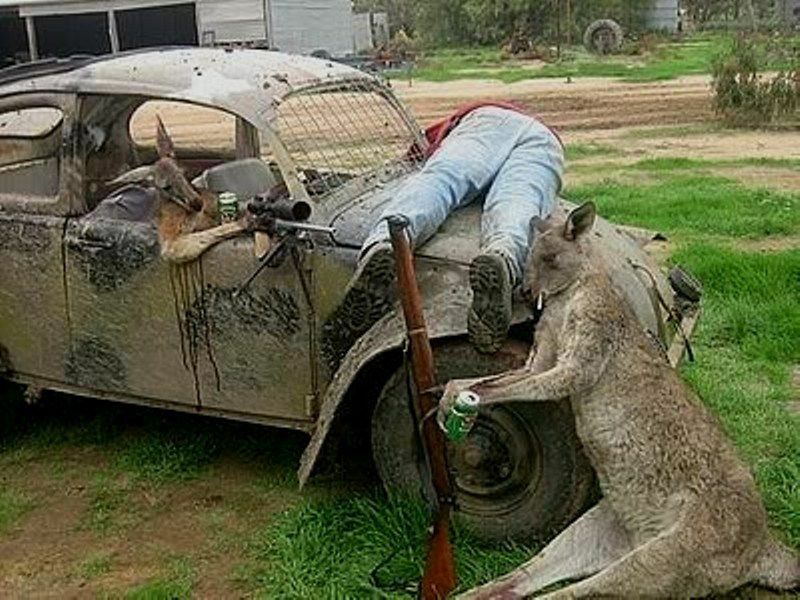 Not sure roo shooting is all that its cracked up to be after this. No matter where you are, we've all got some rednecks. What’s the last thing you usually hear before a redneck dies? No Carl, it's "hold my beer and watch this"! Generated in 0.144 seconds in which 0.131 seconds were spent on a total of 14 queries. Zlib compression enabled.